Add some style to your one's wardrobe with this short sleeves romper from the house of Bodycare. The romper has been designed with attractive pattern which makes it look adorable and cute. The snap button closure at crotch ensures easy diaper changing. 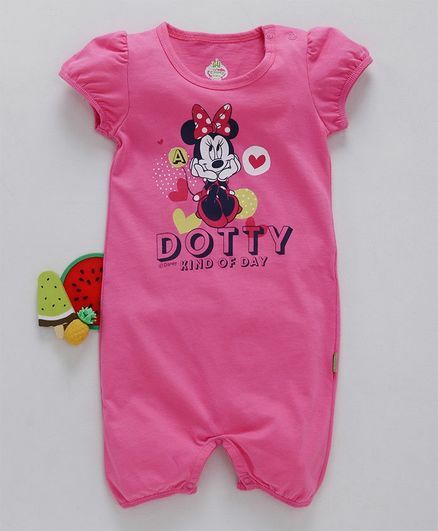 Your little one will feel extremely comfortable all day long in this romper. Style Tip: Team this romper with mittens and cap to complete the look. Note: To confirm sizes, please refer to the measurement link available at size chart above.